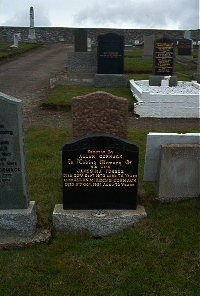 Erected by Allan Cormack in loving memory of his wife. Jamesina Forbes died 23rd September 1973 aged 74. Husband Allan McKenzie Cormack died 8th October 1981 aged 73.